Yet another fantastic Playstation VR ( Virtual Reality ) game, that I was allowed a few hours to play with. 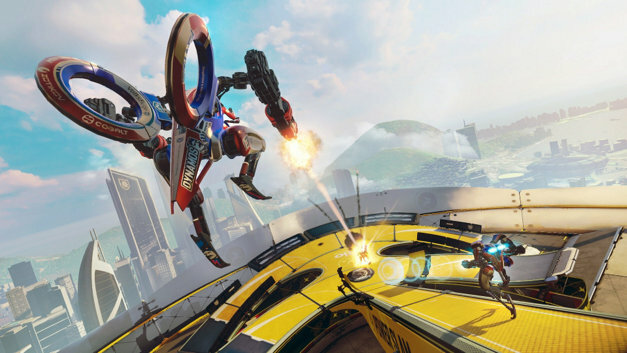 I received another chance to go play with Sony’s Virtual Reality Headset ( or PSVR ), and this time I played RIGS – Mechanized Combat League, I had an absolute blast! I am still stunned by Virtual Reality, all the information, reviews, impressions I read did it no justice, it’s something that has to be seen and played to understand. I just simply cannot describe the experience, but I’ll try. where you can pass, and juke your way into the enemy’s goal line, and finally ‘Powerslam’ which is the most unique of the bunch. Every time you kill an enemy you work your way up to an Overdrive mode. Kill three enemies and you achieve it, there are also overdrive balls on the ground that fill up your OD as well, sometimes enemies will drop them too. When OD is active, you have to find your way to a ring, jumping through it grants you a point and your OD is reset. Multiple teammates can score in a row, they do not reset. There is more to OD as well. All the mechs have unique traits. There are your typical weapon damage, armor stats, etc, and then there are unique bonus stats that come from certain companies that make the mech. Companies have four mechs each, and their boosts can be ‘heal your teammates while you are near them’ or ‘gain armor back after every enemy kill’. I can go into the different modes, un-lockables, sponsor-ships, trials, customization, but that will be for another time. Now for the experience, in one word, INCREDIBLE, but it requires many more than that. The sensation you get of actually being inside the Mechs is breathtaking, you actually feel like you are high up in appropriate amount of height, these aren’t massive mech’s probably four or five people high or 36 Feet. 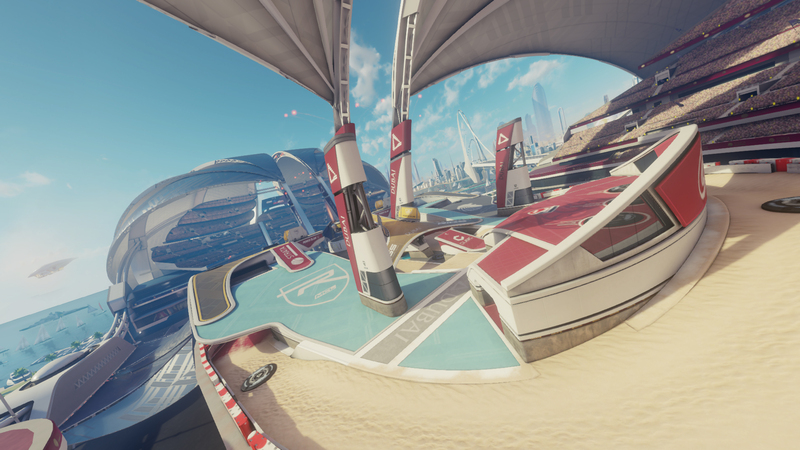 The starting area is a big hangar and you can look around and feel the roominess of it all. 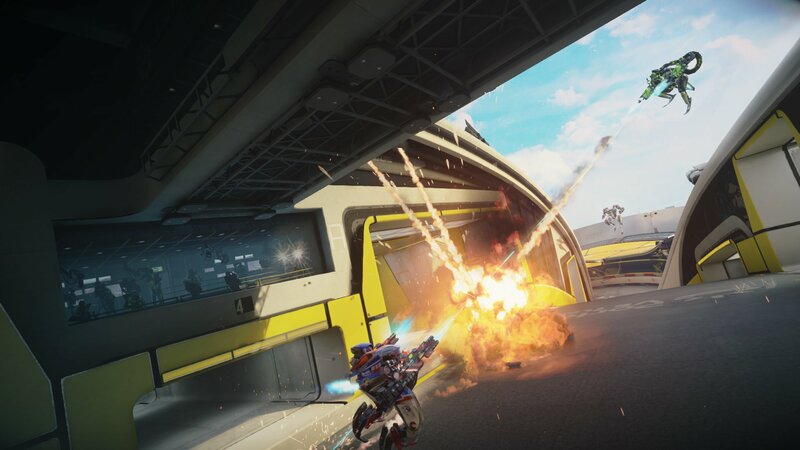 From here you select whether you want to play your offline league or go online and fight in the three previously mention modes, in either 3 vs 3, 1 vs 1 with AI partners, or custom private matches. Running while in your mech has a great feel to it, you use your head to aim which works perfectly, but if you want there is an option to use the controller. That’s it for this Journal entry, I hope to play some more PSVR asap.